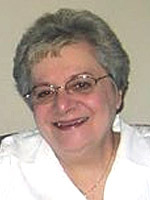 Sandra Jacqueline (Moncardi) Gray, 73, of Middletown, passed away peacefully on April 27, 2017, after a yearlong battle with leukemia. Mrs. Gray was recently predeceased by her loving husband of 47 years, Bruce S. Gray. Born in Middletown on November 22, 1943, Sandra was the daughter of the late Anthony Moncardi and the late Maria (Crescimanno) Moncardi. 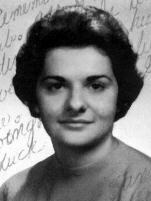 She was a graduate of Cromwell High School and the Joseph Lawrence School of Nursing. Sandra was a Captain in the U.S. Air Force serving state-side in the Tactical Air Command as a nurse during the Vietnam era. She was a National Defense Service Medal recipient. Prior to her retirement, she was a head nurse at the Rocky Hill Veterans Hospital. In her spare time she was an avid knitter, crocheter and a doting grandmother. She leaves her son Brian A. Gray and his wife Marie of Ellington; her son John G. Gray and his wife Doreen of Southbury; her sister Linda Brislin and her husband Joseph of Wethersfield; her grandchildren William, Anthony, Marina, Owen and Nicholas and her nephews David Larson, Christopher Brislin and Michael Brislin. The family would like to thank the dedicated nurses and staff at the Jefferson House and the doctors and nurses at The Smilow Cancer Hospital. Mrs. Gray's sons wish to recognize the special assistance and care provided by Mrs. Gray's sister, Linda Brislin, and her husband, Joseph, as well as Mrs. Gray's daughter-in-law, Marie Gray, who oversaw her care on a daily basis. Relatives and friends are invited to call on Friday, May 5, from 8:30 A.M to 10:30 A.M. at D'Angelo Funeral Home, 22 South Main Street, Middletown. A mass of Christian burial will be held at St. Sebastian's Church, 155 Washington Street, Middletown, at 11:15 A.M. followed by a burial with military honors at the Middletown Veterans Cemetery.